These times, when even the local coffee shop downtown or a beauty salon has an app of its own, do you think mobile apps are restricted to just big names? Having just a mobile-friendly website won’t suffice for an effective marketing strategy these days. Small and midsize businesses need to catch up with the ever online customers and place their services at the right place at the right time. Having a limo rental app can make it too easy. Building a brand is not a weekend’s affair. Business has to frequently place themselves in the customer’s mind. Luxury car rental services have become a growing sphere in the business world. Number of people are opting for luxury cars for private vacations or even to attend events. 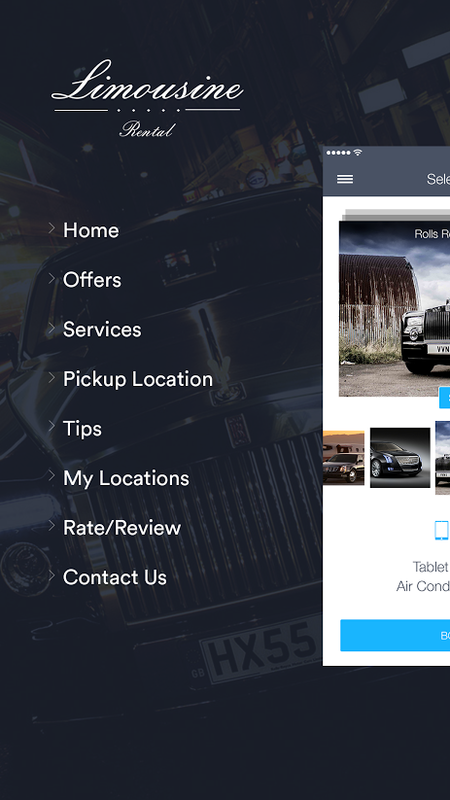 If you have a Limousine Rental business, you can easily have your business apps like a limo rental app for limo rental services, totally custom-made. Let’s Nurture team has excelled at creating mobile apps for varied kinds of businesses, satisfactorily. We mold your requirements with the customer’s needs into an application. Through limo rental app, customers could rent a Limousine right from the ease of their fingertips and would be able to access all kinds of services from the app itself. From deciding the pickup location to the services they’d like to avail while on the drive- everything is taken care of via Limo Rental App. The limo rental app will come with a one-time registration after which customers can reserve cars according to the occasion. This feature gives the freedom to the user to customize and decorate the car according to the occasion. A romantic dinner with your beloved or a formal business meeting, everything goes well with a Limousine! We have developed numerous Android and iOS apps for a number of clients. Why wait? Get your limo rental app done now. Contact us now.